The sprawl of San Jose poses challenge for visitors who want to explore the capital but don’t have much time in Costa Rica. This private guided tour of San Jose provides an easy answer for time-strapped travelers by taking you to San Jose’s top sites in just a day. 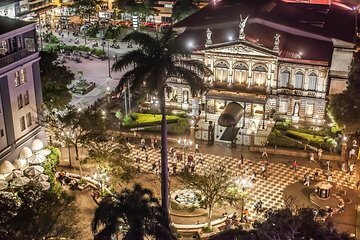 From the National Theatre of Costa Rica to a popular artisan market, you’ll get a sense of this city’s rich history and culture.